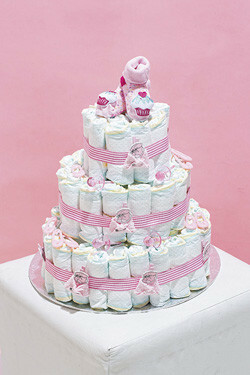 I got this idea from Cheryl, a fellow Fisk-a-teer – thank you Cheryl! It is a hit and quite easy to make. 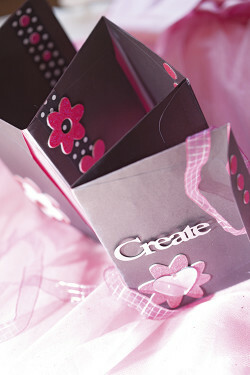 You simply stick together several envelopes and decorate them with patterned paper and embellishments to make a mini album. 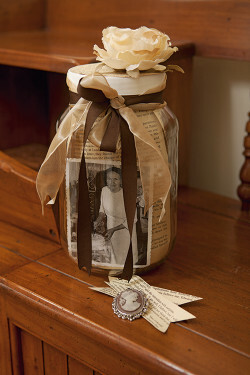 Fill the envelopes with vouchers, photos and keepsakes, and you have gift of note! I used metal wording for the title Create, and filled the envelopes with gift vouchers from craft shops. These birds are really versatile. You'll be surprised by how much you can do with them! 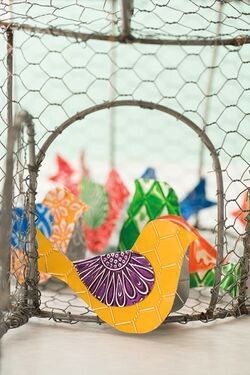 The project is designed to fit each bird onto an A5-sized embossing folder for easy machine embossing. As they have an upside-down V-shape, they can stand on their own. String them individually on nylon thread and hang them all over your garden or wherever else you wish or string several together as a mobile. 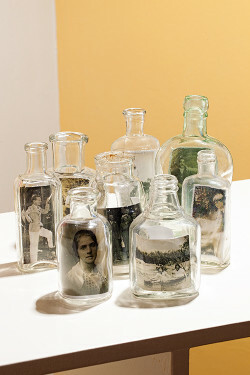 Gebruik ou glasbottels om foto’s in uit te stal. Dit werk veral goed as die foto’s ook ’n outydse karakter het – probeer gerus swart-wit of sepia. Vir ’n meer moderne aanslag kan kleurryke foto’s in omgekeerde kos- en konfytflesse geplaas word. Tekstuurplate kan na willekeur gemeng word. Dit hoef nie as 'n geheel gebruik te word nie. Individuele woorde en patrone kan van die tekstuurplate af gebosseleer word. Hierdie projek verduidelik hoe om dit te doen. Ek is baie lief om goud en pienk te kombineer en dit is ook gewilde kleure vir vintage-items. Ek hou ook baie van glinsterstof en kolle en het dus al hierdie elemente gekombineer om glashouers te skep wat vroulik en funky is. 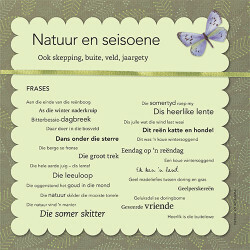 Die nostalgiese voorkoms, verweerd, bruinerig en rustiek, was ideaal vir hierdie glasfles vol herinneringe aan my ouma. Dit is die ideale projek om ou swart-en-wit foto’s van lank gelede te gebruik. Voeg jou eie spesiale aandenkings by nadat jy die gedrukte bladsye in die bottel gesit het. As jy dit nie oor jou hart kan kry om bladsye selfs uit ’n weggooiboek te skeur nie, kan jy bedrukte papier met ’n drukwerkpatroon gebruik. 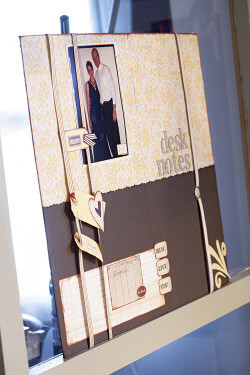 A desktop noteboard is a lovely gift or scrapbooking idea to brighten up any person’s desk and day. It will be used through the year and it is a beautiful way to remind someone of their loved ones and why they work so hard. 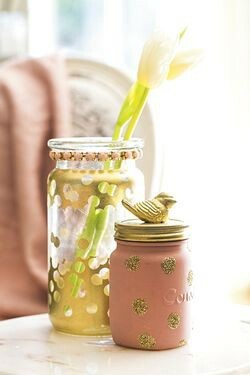 Embellish it as much or as little as you like, and leave plenty of space for notes, reminder tags, photos, post-its and so on. It will work equally well on a wall. Tassels or fringes are such fun to make and they have so many uses! They always look good, whether they are made with small delicate beads, or heavier and larger ones. 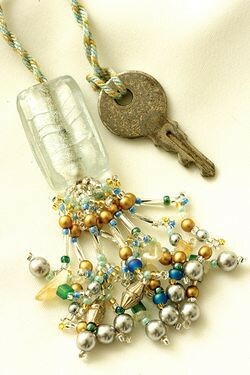 When making tassels you will often find the ideal opportunity to add those few special beads you were saving to make a project your own, or simply to use up those odd beads you had lying around. Tassels can be used to adorn cupboards, or to put onto handbags and belts. They can also be attached to neckpieces, or worn as jewellery, and much, much more! 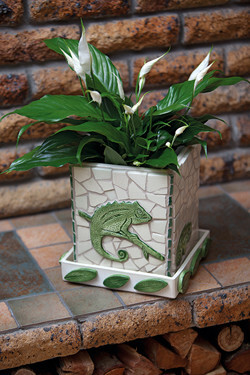 Take an ordinary planter and turn it into something unique and beautiful. Getting boys to make crafts or sew is no easy task, but this quick and easy sheriff’s badge is sure to get their attention. 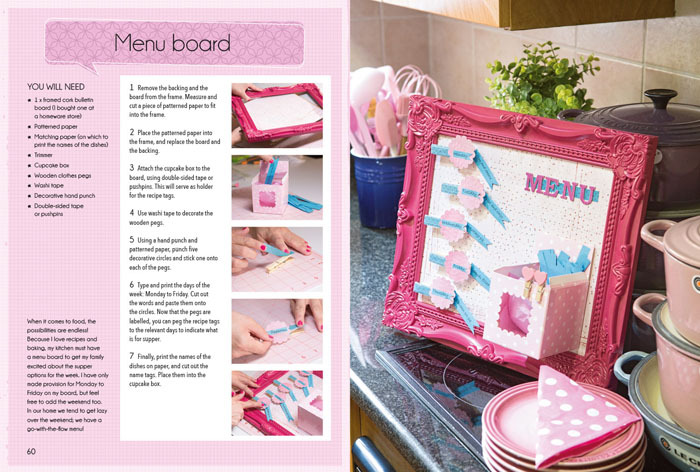 It’s fun to make and perfect for a dress-up party or just everyday play. I’ve kept the sewing on the badge very simple, so encourage your kids to try and make this badge. Kruise lyk pragtig op enigiets van ‘n boekmerk tot ‘n Kerskaart. Omdat net die buiterande van die kruis geborduur word, kan jy dit beslis sommer in een aand borduur. Hierdie maklike fotoraam word in ’n kits aanmekaargeslaan en sal jou nie ’n plaas se prys kos nie. These flowers are ideal for using up chiffon or organza offcuts. 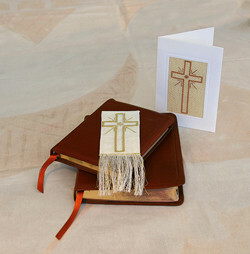 The fabric needs to have a high polyester content, otherwise the edges won't melt. 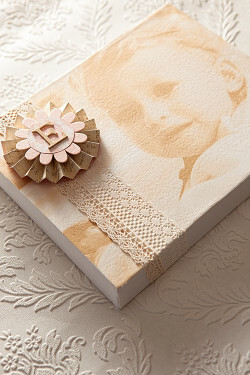 Create an old-world feel by printing on tissue paper and decorating the canvas with classic lace and beautiful paper creations. 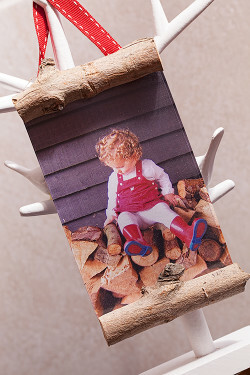 Because the tissue paper is so thin, the texture of the canvas will still be visible, giving the photograph a very authentic look and feel, almost as though it’s been printed directly onto the canvas. 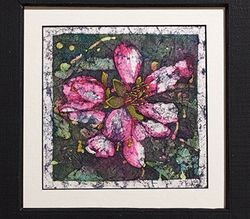 Create a batik effect with watercolour and candle wax. 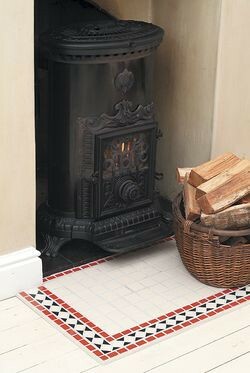 This surround is both functional and decorative. The perfect combination! 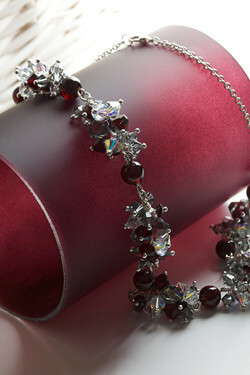 The deep red colour of the garnet stones is a perfect foil for the black diamond and clear bicones. The necklace is made up of various components, and you can adjust the length according to your style. These are the instructions for making a 45 cm necklace. 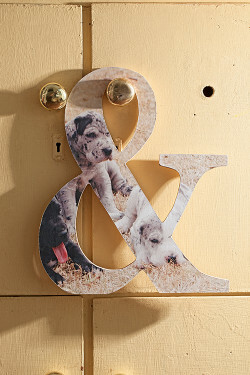 Beautiful hardwood cutouts and wording are easy to come by at just about any craft or DIY shop. 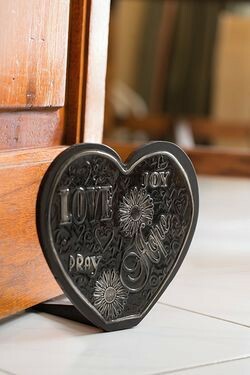 If you can’t find exactly what you’re looking for, simply pop over to your local laser-cutting store and ask them to create it for you. Take care when positioning your images, making sure you don’t cut off any important or defining parts. 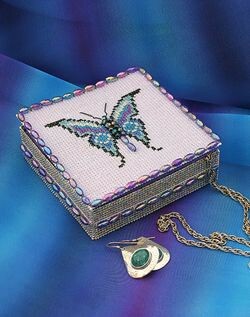 Use plastic canvas to make this striking trinket box decorated with a butterfly in cross stitch using DMC Light Effects yarn. 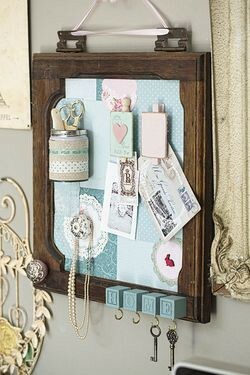 This pretty display is the perfect place for keys, memos and shopping lists. It includes a handy holder for pencils and other bits and pieces. 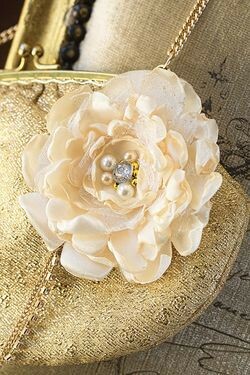 Hang your necklaces, scarves or bag from the beautiful knobs. 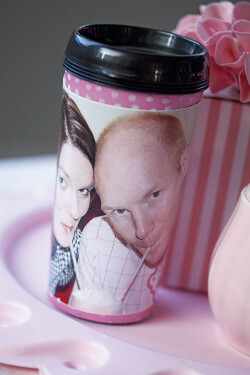 Hierdie beker was een van my man se heel beste geskenke. Ek het dit vir hom gemaak as deel van ’n reeks verjaardag geskenke en hy gebruik dit nog elke dag. Jy kan dit vir jou ma, pa, man, vriende, kinders of enigiemand wat gereeld reis of skool toe gaan, gee. Die ontvanger sal elke dag aan jou herinner word en jou pragtige handwerk waardeer. Hierdie bekers is geredelik te kry by huiswarewinkels.